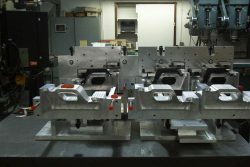 Monroe Mold specializes in extrusion blow molds with special expertise in polyethylene applications. 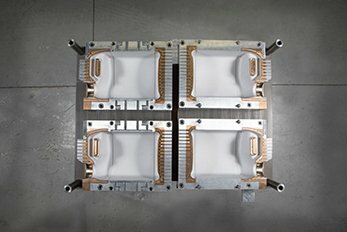 Sampling produced at Monroe Mold supports a smooth prototype process and efficient timeline for final mold production. 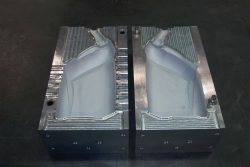 When you get a new mold set chances are you are going to need new auxiliary tooling to go along with it. 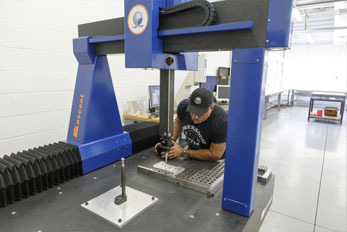 Monroe Mold designs and builds head tooling for all types of blow molding machines. 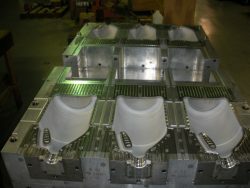 Monroe Mold offers design services for all blow molds. 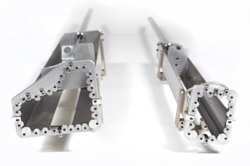 The laser welding is mainly used for pinch edge repair. 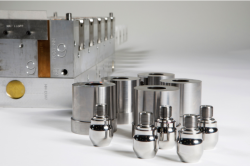 All molds eventually wear out but Monroe Mold can help you get extra life out of your molds. 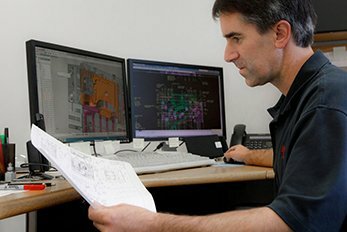 We can evaluate your molds and determine the proper course of action to bring them to back to like-new condition for improved production. This includes repair work and refinishing. 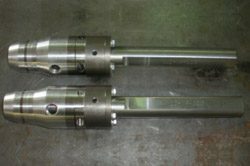 Whether you need pinch edges repaired or entire cavities recut, Monroe Mold’s capable staff can recondition your molds to produce bottles that meet or exceed your specifications. 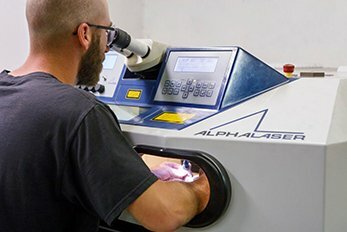 We also offer services in Mold repair.